When I was twelve-years-old I decided that I wanted a career in Journalism, the reason being of course, I wanted to meet Hilary Duff and nothing was going to stop me. This is what dreams are made of…Am I right?! This of course transformed into a desire to meet many interesting people from all over the world. Flash forward a few years to when I was 16 and my dreams were still as strong, my degree picked out and my goals set whilst those around me fumbled with what they wanted to do with their lives and what they wanted to study. I began a degree in Mass Communication majoring in Corporate Screen Production and Journalism at the beginning of 2010 (Aged 19) at Curtin University. I was shocked at first to find the degree, and indeed my future profession seemingly dominated by an array of picture perfect, feminine, stereotypically straight looking women. I would be lying if I said I didn’t feel threatened. With my much more masculine appearance and identifying in the not so straight category, I definitely felt like my sexuality could close some doors when it came to fighting for a position against someone with a ‘girl next door’ kind of appearance. I’d like to point out that I am ok with my sexuality now, a lot more so than I was when I first started my degree, but the idea of being at a disadvantage in the workforce because of my sexuality is still something that pops into my head from time to time. Not because of my own insecurities necessarily, but because some people are still pretty harsh in accepting homosexual people as just as worthy as the next person. It’s something that’s either rejected, avoided or tolerated in many cases and all three (yes even the last one) to me are forms of homophobia. So you see my problem, getting into the work force can be difficult and very daunting for a minority like myself in jobs that aren’t LGBTI specific. I graduated at the end of 2012, and took a gap year through 2013 to get all that travelling out of my system for the time being. I left not long after the loss of my father, Trevor, a great dad and friend. Losing him is single handedly the toughest thing I have ever had to deal with and always will be. However, I returned from my travels, after getting to visit my family, with the hope of finding full time work, settling down and for-filling my dream and hopefully making my dad proud. I received the opportunity to be interviewed for an LGBTI publication within weeks of returning home and thought “this is it”. There is no one else better for this job. This is the kind of job I’ve always wanted, and a place that will accept me for me. I didn’t get the job. It hit me hard. But I got back up and started applying for jobs not long after. Every time I applied for a job though, I would decide the extent to which I would advertise myself as someone involved in the LGBTI community. This lasted all of a few weeks and is kind of the point to this whole post. I found myself applying for a publishing position recently which I knew very little about. The topics behind the magazines they publish weren’t LGBTI related and there was nothing I could see to indicate they were an open and accepting bunch…so I played it safe. I still of course put my volunteering for Freedom Centre (a drop in Centre for LGBTI youths) on my resume and I included some clubs I’d been a part of overseas, but one thing I didn’t mention was that I created and wrote about all things LGBTI on this very blog. Guess what. The very reason they decided to interview me in the first place was because of my involvement in the LGBTI community. Turns out they have some LGBTI related projects coming up and they wanted to interview open minded people. I guess what I’m trying to say is, don’t judge a job by your initial interpretation in the same way that you don’t want to be judged for your sexuality. Don’t ‘gay’ yourself down because you think being gay might not get you the job. If being gay is a turn off for the employer, then it’s not a safe place for you to be working anyway. And last but not least, if you’re passionate about what you do, LGBTI related or not, show it. Nine times out of ten, an employer is looking for someone who can be passionate about something in the hope that you will bring that same passion to your work with them. I still don’t know if I got the job. I’m still nervous as hell about going to job interviews. But I’m happy I’ve learned this lesson early on in the application process. P.S. 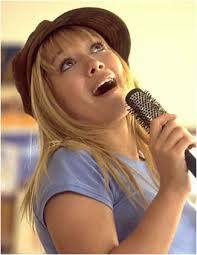 Hilary Duff, if you’re reading this right now, have your people call my people (me) for an interview some time. It would make my career! From your most loyal fan, Steph. As one of your first employers I can say… You are awesome and worth anyone’s employment. Love your passion for doing what makes you happy:) Good luck with the job Steph.